At the very beginning of my legal career, more than two decades ago, I chose to do Guardian ad Litem work to serve the community. The opportunity to have a positive impact on children and families going through divorce led me to concentrate my practice in family law. As my practice has grown, managing cases that involve domestic abuse, mental health issues or substance abuse has become a special interest and expertise for me. Facing divorce and other family law issues can be one of the most overwhelming experiences in a person’s life. I’m patient and calm—even in the midst of chaos—and strive to make clients feel comfortable. I listen with curiosity to learn what makes each client’s situation unique so that I can be creative and strategic in helping them shape new futures. 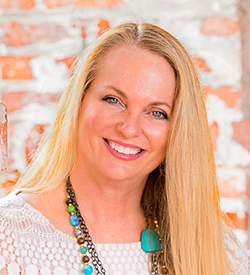 My years of experience in working with children and families have given me valuable perspective and knowledge that I am able to use to benefit my clients. A less adversarial approach accomplishes more for clients in achieving their goals than perpetuating the destruction of divorce. To that end, I guide clients in choosing the process—whether Collaborative Law, mediation, or litigation—that will lead to the most positive outcomes. Helping clients see possibilities for themselves and their families they never imagined after divorce is truly a privilege for me. Born and raised in Connecticut, I am a “double Gator,” having received both my undergraduate and my law degree from the University of Florida. In my practice, I have worked as a Guardian ad Litem with hundreds of children in both dependency and custody cases, frequently appointed by judges. I have been honored to receive many awards and recognitions for my work as a children’s advocate. Most recently, I received the Florida Bar President’s Pro Bono Service Award for 2017 for my Guardian ad Litem work, and also the highest award given for Guardian ad Litem representation, the 2016 Judge J.C. “Jake” Stone Distinguished Service Award. 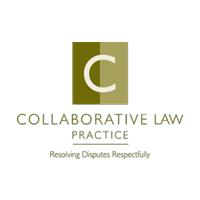 I teach Collaborative Law as an Adjunct Law Professor at the Barry University School of Law, and serve as the Director of The Barry Collaborative Family Law Clinic. 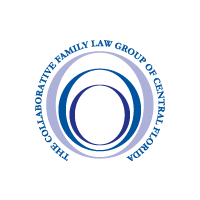 I am a Collaborative Law trainer and speaker, and served as the Administrator and board member of The Collaborative Family Law Group of Florida from 2008-2018. Whether working with clients in the conference room or the court room, I am committed to empowering individuals and families to achieve healthier and more positive futures.